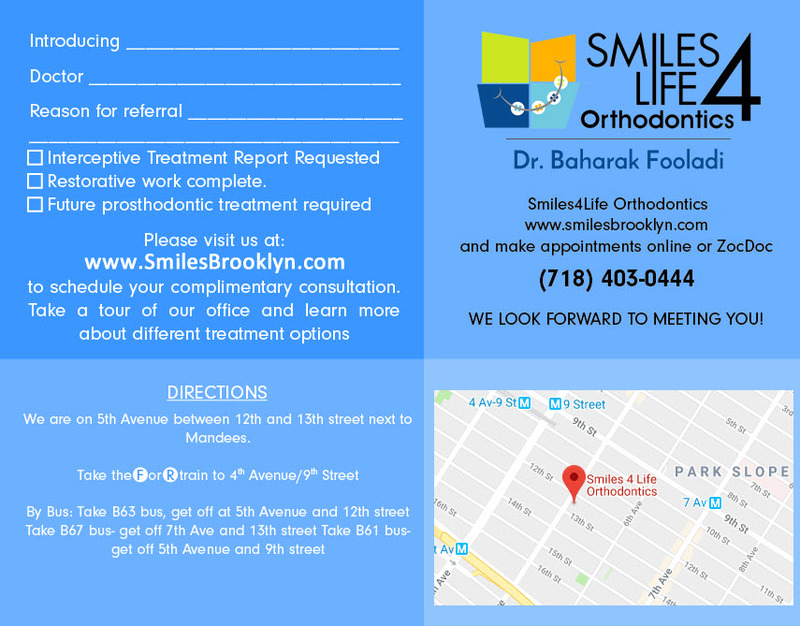 At Smiles For Life Orthodontics in Park Slope, Dr. Baharak and our staff are dedicated to providing you with the orthodontic care you expect and deserve. If you are considering treatment for yourself or a family member, now’s the time to come in for an examination and learn how orthodontics might benefit you. In the meantime, the following information will fill you in on some general information. If crowding exists, that means there isn’t enough room in your mouth to accommodate all your teeth. They may overlap, rotate, or grow into the wrong spot. Spacing problems occur when there is too much space in your mouth, which can result from a large jaw or small teeth. Children should have their first orthodontic appointment by age 7 according to the American Association of Orthodontists. At this age, teeth and jaws are still growing but it can be easier to treat certain conditions before development is complete. Permanent teeth may be guided into better positions as they come in, or a palatal expander may be used to help widen the palate so that the upper arch is sized more appropriately. Sometimes partial braces or space maintainers are recommended to prevent tooth crowding, and headgear can be beneficial to correct a misaligned jaw. However, many young patients do not require intervention at all. 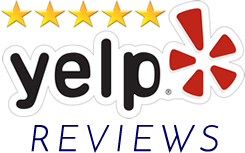 Dr. Baharak will perform diagnostic tests like X-rays to determine the ideal time for treatment, which may be in the teen years or not at all. Adhere to Dr. Baharak’s list of foods to avoid while wearing braces. Chewy, hard, or sticky foods can damage your braces and promote tooth decay. Carefully perform oral hygiene tasks, including brushing and flossing. This can be tricky with braces, but is imperative for good oral health. Keep all your scheduled appointments so that you maintain your treatment timeline and have the greatest chance for success. 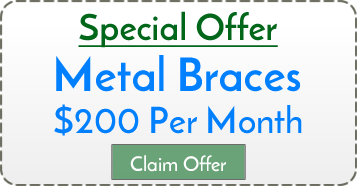 A new twist on traditional braces is Damon braces. They are self-litigating, which means there are no elastic bands required. Instead, a sliding mechanism holds the wire in place and freely promotes tooth movement at a comfortable pace. Highly advanced memory wires are used to help move teeth faster, requiring fewer adjustments. The Damon system produces the desired results without having to extract teeth or use palatal expanders. There is also an option called Damon Clear braces, which are nearly invisible in your smile and will not discolor or stain. Damon braces are comfortable and low maintenance, requiring about seven fewer office visits than traditional braces. Treatment time may reduce by six months with Damon braces, and caring for them is easy. The ultimate in braces that aren’t noticeable is clear aligners. Adult patients especially love this alternative! Made of clear plastic, aligners are created from advanced images and impressions so that they fit each patient exactly. The customized aligners gradually move teeth into better positions without as much pain or hassles as traditional braces. Aligners are worn for about two weeks and then switched to another set in the series. The entire process takes between 6 to 18 months according to patient conditions. 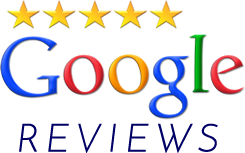 Visits to Smiles For Life Orthodontics are only needed every six weeks or so, and there are no uncomfortable adjustments. One of the most appealing things about aligners is that they are removeable for eating and cleaning, so there are no diet restrictions and no need to alter your normal dental hygiene routine. Aligners should be worn at least 22 hours a day for best results. There is also a teen version of the clear aligners, offering a few extra perks like an indicator dot alerting the teen to when the aligner should be changed. Removable – a customized acrylic mold is made from impressions of your mouth that fits into your palate. The acrylic piece attaches to hooks that go around the back of your teeth and there’s a wire across the front. On your lower arch, the acrylic portion is U-shaped due to your tongue. You should wear your retainers all the time for the first three months after braces, and then only at night if your teeth are not shifting. For ideal results, Dr. Baharak suggests you wear your retainers at night indefinitely. Fixed – a thin wire is bonded in place across the back of your teeth. It is very strong and should be only removed by Dr. Baharak. These are not visible since they are behind your teeth, but can be hard to clean around. If a fixed retainer becomes loose, schedule an appointment for repair. Most patients are advised to keep their fixed retainers in place for life. Periodic maintenance is necessary with both types of retainers. Regular dental checkups and cleanings help with hygiene to ensure the best oral health. With proper retainer wear, you can enjoy your new smile forever.